Resins are a big part of materials research within 3D printing, and are ideal for quickly producing parts with a high level of accuracy. 3D printing resins are liquid photopolymers, primarily used with technologies such as Stereolithography (SLA) and Material Jetting. To help you better navigate the world of 3D printing resins, today’s tutorial will cover the key types of resins available on the market, the main technologies used as well as key applications. Photopolymers are light-sensitive resins that change their physical or chemical properties when exposed to a light source, typically UV light. Unlike the thermoplastics used in Fused Deposition Modeling (FDM), photopolymers are thermosets, meaning that while the material strengthens as it is heated, once cured by a UV light, it cannot be remelted or reheated. Photopolymers are typically more brittle than FDM or SLS thermoplastics, although they are capable of creating objects with a higher resolution and smoother surface finish. With a range of colours and properties available, 3D printed resins are perfectly suitable for a range of applications, including visual and functional prototypes, medical devices and casting patterns for jewellery. Stereolithography (SLA) and Material Jetting are the two most commonly used technologies for 3D printing resins. However, although both technologies use UV light to harden liquid photopolymers and require support structures, the similarities end here. During the SLA production process, a vat of a liquid photocurable resin is selectively cured by a UV laser layer by layer, causing the resin to solidify. After printing is complete, the resin part must be post-cured to improve its mechanical properties. In contrast, Material Jetting (or PolyJet) is an inkjet printing process and does not use lasers. Material Jetting printers are equipped with printheads that deposit a liquid photoreactive material onto a build platform layer upon layer. Once a layer of material has been deposited, it is hardened by a UV light. Unlike SLA, the printed parts require no or very little post-curing. The main benefits of using these technologies with resins are the high speed and high levels of accuracy available. Additionally, with Material Jetting it is possible to produce full-colour and multi-material parts, with a number of unique composite materials with hybrid properties possible. This is achievable thanks to the singularity of the material jetting process: material jetting systems typically contain multiple nozzles which can deposit different materials and/or different colours in a single printing process. SLA can be used with a wide range of resins, although options will vary depending on the type of SLA 3D printer you opt for. Generally, SLA resins can be developed to simulate different properties of traditional materials. For example, developing resins comparable to wax for wax casting, or a composite material with the material properties of ceramics are both possible options. Other resins can mimic the properties of traditional thermoplastics like ABS and PP. Standard resins provide highly accurate features and a smooth surface finish. They also come in a wide assortment of colour choices (from clear to a variety of opaque colours). One downside to this material, however, is its brittleness, making standard resins more suitable for prototyping. Durable or tough resins simulate the properties of ABS and PP thermoplastics, allowing for greater strength, toughness and durability than standard resins. ABS-like and PP-like resins are suitable for functional prototypes, consumer products and generally low-friction and low-wear mechanical parts. PP-like resin has also semi-flexible properties and is ideal for snap-fit assemblies. However, the low thermal resistance of this type of resin should be taken into account when choosing the right material for your application. This material can create flexible parts with a soft rubber-like feel. Rubber-like resin can be compressed and bent, making it a good choice for squeezable models, wearables prototyping, grips and handles, and also for fashion and jewellery applications. However, it should be noted that the properties of a rubber-like resin cannot be compared to true rubber. The material will also require support structures when 3D printed. This type of resin exhibits high heat resistance (above 200°C) and stiffness. Thanks to its thermal properties, this high-temperature resin can be used to create tooling for short-run injection moulding and thermoforming as well as various jigs and fixtures. 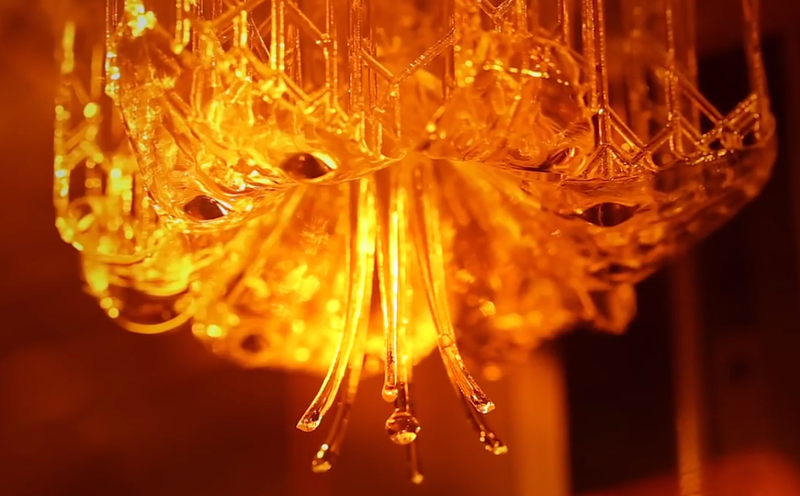 Formlabs leads the way as one of the few manufacturers to produce high-temperature resins, and the material can be used for producing casting and thermoforming tools, in addition to injection moulding tools. 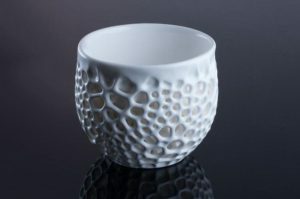 Castable resin is a cost-effective choice for the production of intricate patterns for investment (or jewellery) casting. During the investment casting process, a ceramic mould is made around a wax pattern. When the mould has solidified, wax is burned away and the molten metal is poured in to create a part. 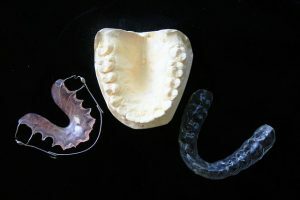 If you need parts with biocompatible properties for dental and medical applications, then these types of resins are the go-to materials. Dental and medical resins have been successfully used to 3D print custom-fitted hearing aids and surgical guides. Parts printed with these resins can be steam sterilised for direct use in the operating room. There is also an option of a long-term biocompatible dental resin, which can be used in orthodontic devices designed for a longer contact with the human body (up to a year). This silica-filled photopolymer offers high tensile strength and rigidity, creating parts with very smooth surfaces and fine features. The ceramic resin is a relatively new SLA material and typically requires a higher level of skill than other resins. Additionally, parts 3D printed with ceramic resin can be fired in a kiln, burning away polymer and resulting in a true ceramic part. The material is well-suited for a variety of applications, ranging from tooling, jigs and fixtures to electrical enclosures and applications in art and design. Material Jetting uses photopolymer resins similar to those used in SLA, but in a less viscous, ink-like form. Some of these resins also mimic the properties of FDM 3D printing materials like PP and ABS. Like SLA resins, Material Jetting photopolymers come in a variety of colour options as well as a number of speciality materials (castable, high-temperature, medical grade). In general, Material Jetting resins are brittle, have a low heat deflection temperature and their cost per kilogram is much higher than SLA resins (roughly $300 – $1000). As most of the resins used in Material Jetting have much the same characteristics as SLA resins, we’ll focus on the materials used with the technology. These include composite materials for multi-material 3D printing. The composite materials are created by combining two or more materials with different properties (such as rigid and elastomeric or translucent and opaque combinations) within one part. One application of this would be in the field of prototyping: for example, companies can 3D print full-colour prototypes with a final-product look and feel. Furthermore, engineering-grade composite materials can be a good choice for moulds for short runs of injection moulding, as well as various types of jigs and fixtures. In this tutorial, we’ve mainly discussed the UV-light curable resins used with widely established 3D printing technologies. However, the 3D printing market also offers a newer generation of photopolymerisation techniques: for example, Carbon’s Continuous Liquid Interface Production (CLIP) technology, which supports engineering-grade resins, and is said to have a faster printing speed than SLA. Carbon has expanded the field of applications for resins as it now currently offers eight different types of resins. One of these includes the company’s Cyanite Ester (CE), a unique CLIP material with a heat deflection temperature of 231°C and strength comparable to glass-filled nylon. Thanks to continued advancements in the field of photopolymer resins, the future of these materials is certainly bright. One company pioneering the field is Photocentric, a UK-based company specialising in photopolymer materials. The company develops polymers for 3D printing that can be cured using an LCD screen instead of UV light, pioneering the field of “daylight resins”. With much innovation within the area of photopolymer materials, we can only look forward to more applications and uses cases in the future.